No matter if you're exploring the Commonwealth or wandering through the New California Republic, the world of Fallout is a dangerous place. Everything changed when the bombs fell and, in the wake of total nuclear annhilation, you can’t just wander around wherever you please. Supplies will be scarce, you’re bound to run into some unfriendly types, and hazardous situations seem to be waiting around every corner. Luckily, you’ve got the skills—and gear—it takes to help restore this once-great land to its former glory. 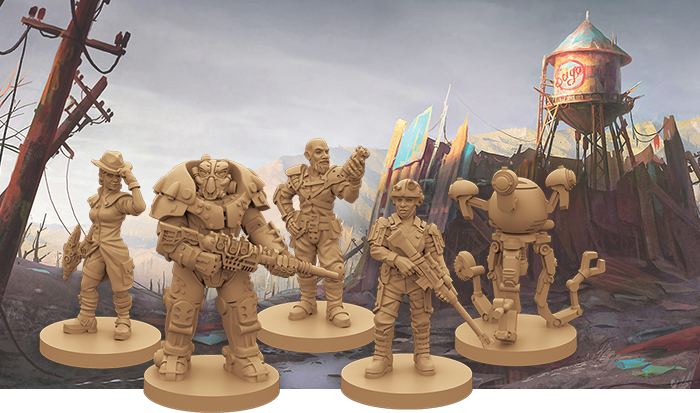 The New California expansion introduces five new survivors to Fallout: The Board Game and, before anything else, it’s important to get to know who you might be. Each of these plucky newcomers has their own perspective on life in the wasteland, and today, we’re going to take a closer look at just what makes each of them tick! Although you’ll all be dealing with the same trials and tribulations out there in the wasteland, every survivor will take their own approach to every new challenge. Not everyone reacts the same way when a Deathclaw comes striding toward them, after all. Let’s see just what sets this new generation of Californians apart from one another! The Enclave Deserter: The whole Enclave thing didn’t work out, so you’ve decided to strike out on your own. But leaving the Enclave doesn’t mean you have to give up your Advanced Power Armor, right? You can soak up a point of damage while wearing this piece of sturdy Apparel. 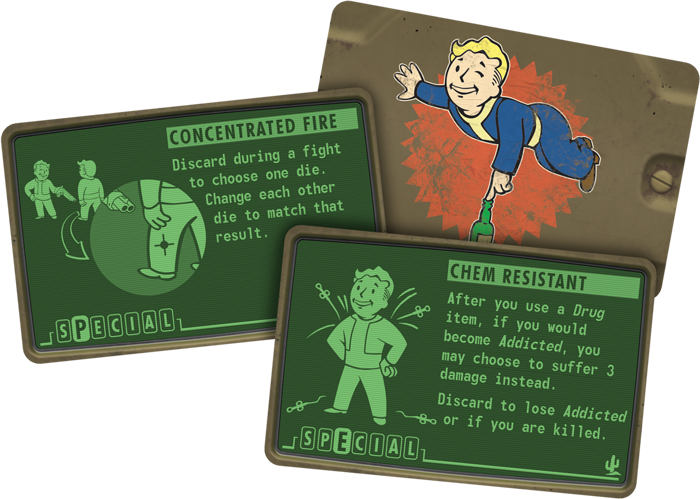 Better yet, your armor literally helps you become even more S.P.E.C.I.A.L., keeping you company out there in the wastes and helping you gain additional XP when you kill those monsters. The NCR Ranger: California may have been reduced to an irradiated desert filled with mutated creatures that want to eat you, but it’s still home. And you know every inch of it. Your map helps you get the lay of the land and pick the best routes through it. Not a bad way to avoid unwanted confrontations with wayward radscorpions or unsavory raiders if you ask me. Better yet, this invaluable Item lets you move much faster than your fellow survivors, no matter how much Endurance you have or how much you’ve worked on your Agility. The Lone Gunslinger: As mysterious as you are deadly, you know the only thing you can really count on in the post-nuclear wasteland is your Trusty Sidearm. With this Weapon at your side, you’ll be able to make ranged attacks from the very beginning of the game, even if it’s not currently equipped. Such a powerful weapon does make you a bit intimidating, though. Even if you’ve tried to work on your Charisma, you still won’t be able to convince any companions to join you. The Mister Handy: Why let humans have all the fun while you endlessly clean up their post-nuclear mess? Besides, your Modular Exoplating makes you perfectly suited for exploring areas that would mutate organic beings into unrecognizable beasts. One man’s Junk is another robot’s treasure, and the plentiful Junk you’ll find in the wasteland becomes even more valuable to you. Not only can you add it to your plating, it’s also useful for replacing any of your parts that might get blown up, knocked off, or otherwise removed during your exciting adventures! The traits and items you start with aren’t the only thing that set you apart, of course. 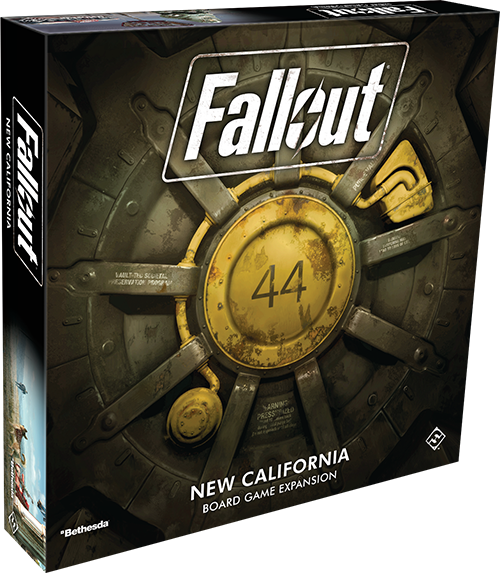 As you wander New California and beyond, you’ll fill in the S.P.E.C.I.A.L. slots on your player board to gain rerolls during tests and fights. Alternatively, if your slots are already filled, it might be a good idea to take a different course. You can also spend the S.P.E.C.I.A.L. tokens to gain powerful one-time abilities from perk cards, and New California gives you even more perks to choose from. The seven perk cards included in this expansion unlock one new ability for each category, together contributing to make your survivor even more unique. Trying to study but pesky monsters keep bothering you? 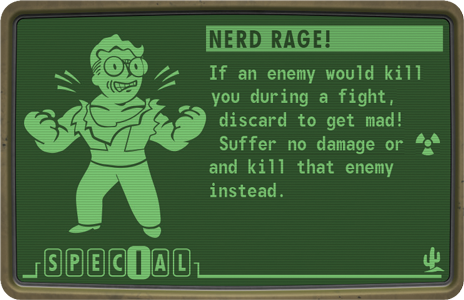 Vault-Tec surely wouldn’t blame you if you flew into a Nerd Rage! and killed an enemy before it kills you. Not enough space to carry your loot? 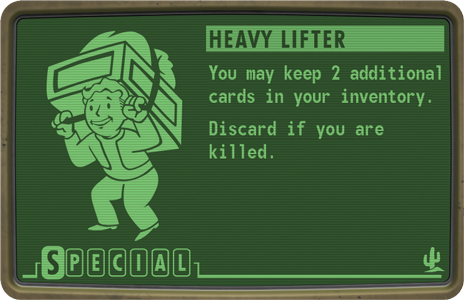 Why not become a Heavy Lifter and simply carry two extra cards yourself? The wasteland is vast and full of possibilities. No matter what path you choose to follow or what agenda you choose to pursue, you need to be prepared for every scenario. Rise to every challenge and show the world what makes you S.P.E.C.I.A.L. !